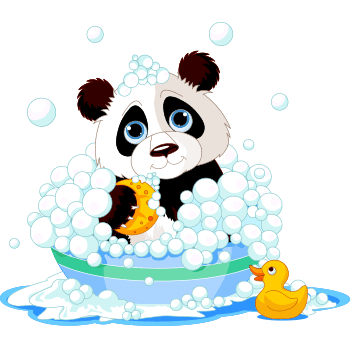 This panda bear is relaxing in a tub of sudsy bubbles after a long day of munching bamboo and reading your friends' Facebook posts. When it's time for you to relax, you can post this darling image in your status update. We bet you'll inspire your friends to kick back and post some adorable images too.